h3>What Is a DMF? Why do we need a DMF? A DMF flywheel is made up of two main parts one is bolted to the engine and one to the clutch, it is joined together by springs and friction pads, its job is to absorb any shocks from the engine and to smooth out the power flow to the transmission. 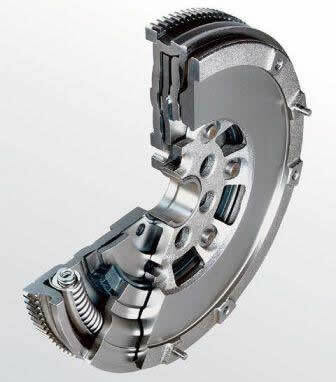 This makes the vehicle smoother and also reduces wear on the gearbox etc. What Goes Wrong With DMF’s? How Can We Make The DMF Last Longer? 1. Don’t hold vehicle on a hill with the clutch (overheats DMF) 2. Don’t use fully throttle below 2000rpm 3. Don’t change gear aggressively, let the clutch in gently, especially if towing or fully loaded. 4. If you have the ECU chipped make sure they know what they are doing as the manufacture has detuned the engine in low gears to prevent damage to DMF and transmission. Fit Solid Flywheel Or Keep DMF? I would not fit a solid flywheel unless you are Taxi driver (high mileage) or tow every day of the week, as it will not be as smooth as originally designed. If you do decide to fit one, make sure the clutch center plate you use has large springs with a long travel, to dampen the shocks (Valeo make a kit) don’t use the standard clutch. If the DMF has done 80,000 miles are you going to do another 80,000, probably not? So it worth the extra noise/harshness. What Cars Are Fitted with DMF’s? Mainly diesels, about 50% of cars made now have a DMF and growing. Audi, BMW, Chevrolet, Citroen, Ford, Honda, Hyundai, Jaguar, Kia, Land Rover/Range Rover, LDV, Mazda, Mercedes, MG, Mini, Mitsubishi, Nissan, Opel, Peugeot, Puch, Saab, Seat, Skoda, Ssanngyong, Suzuki, Toyota, Vauxhall, Volkswagen, Volvo all have DMF’s fitted. Can I Buy a Diesel without a DMF? The only way to buy a diesel without a DMF is to buy an Automatic, the torque converter already does the job.